How do students see feedback on their self-marked work? 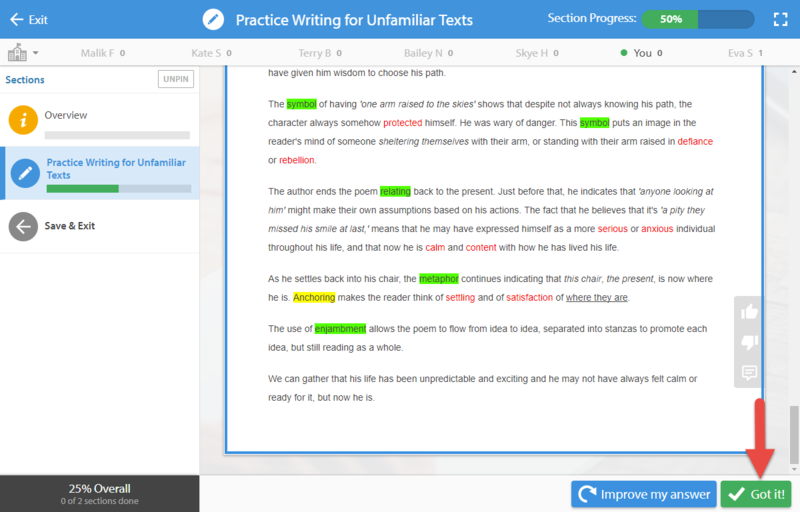 Self-marking can help students to get a more comprehensive idea of what they need to work on within a given topic. 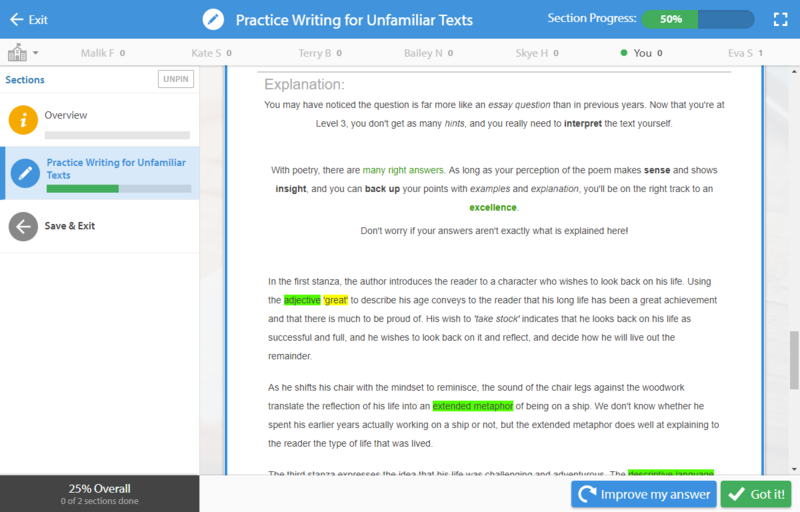 Students can self-mark their work for extended response questions. Once they've written their answer and ready to submit it, they'll need to select the Self-Mark Answer button. 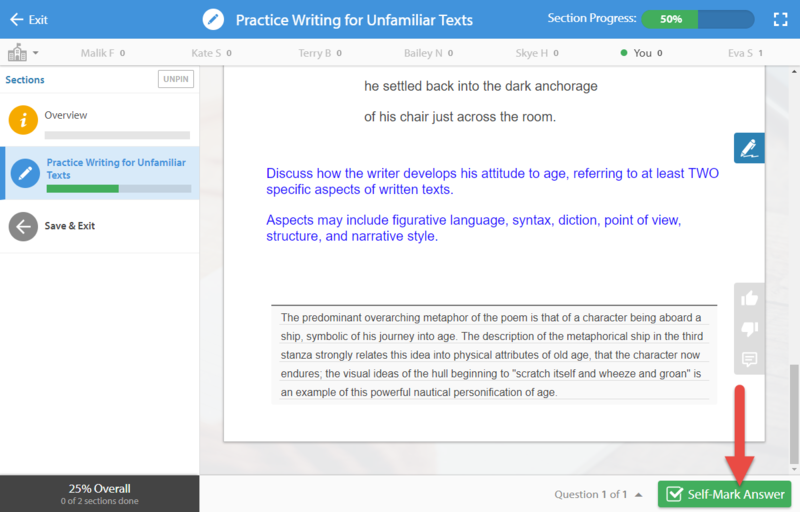 They will be able to see the marking criteria for that question, as well as their own answer, keywords and, if they scroll down further, an explanation and/or model answer (if these have been provided). With the marking criteria, they'll be able to look over the work they've done and analyse how well they've answered the question. 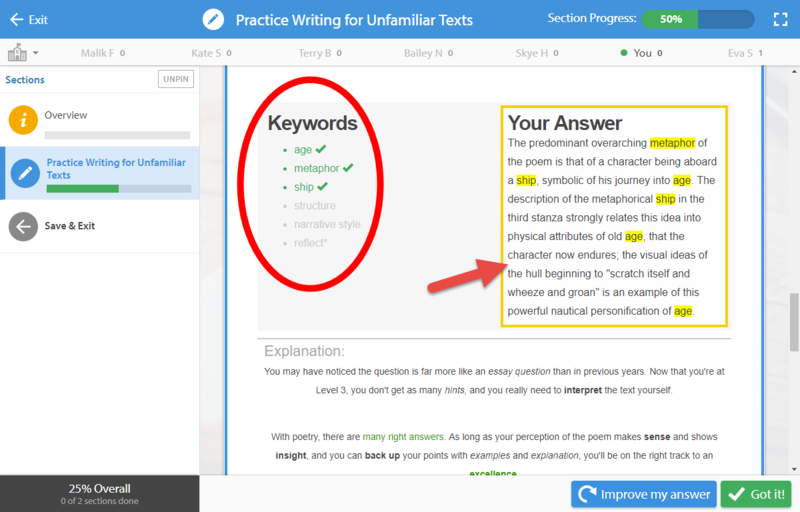 If students wish to improve their answer, they can select the Improve my answer button, which will take them back to the question to either edit their work, or make a new response. Once finished, select Got it! to continue to the next slide. Once teachers have submitted the feedback, students can view it by finding the lesson in their Student Zone. 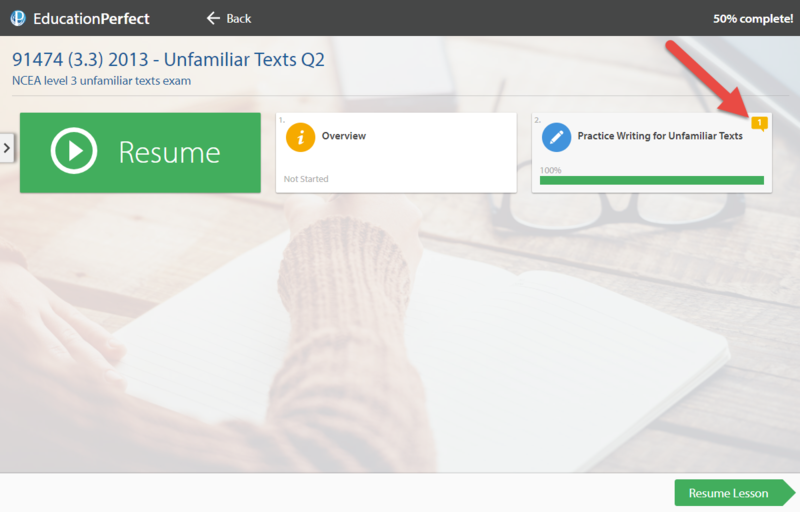 Once they open the it, there will be an alert icon in the top-right of any sections that you've left feedback on. They'll need to select one of these sections. 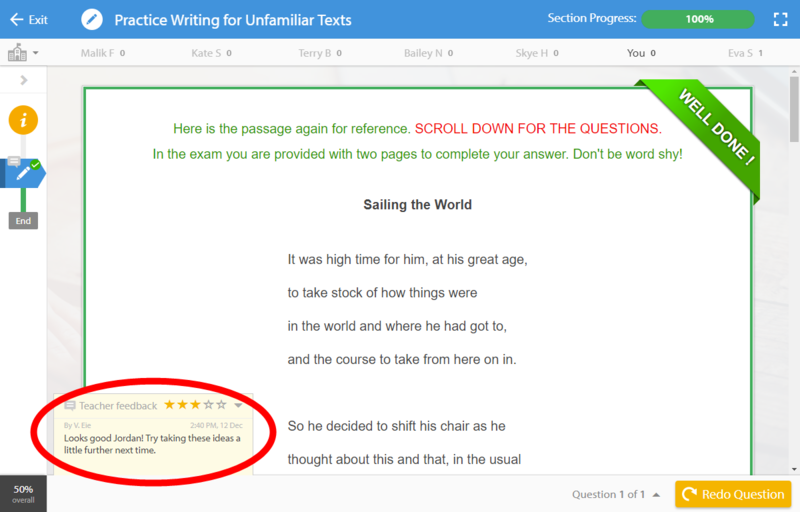 Your feedback will appear in the lower-left corner of the page.